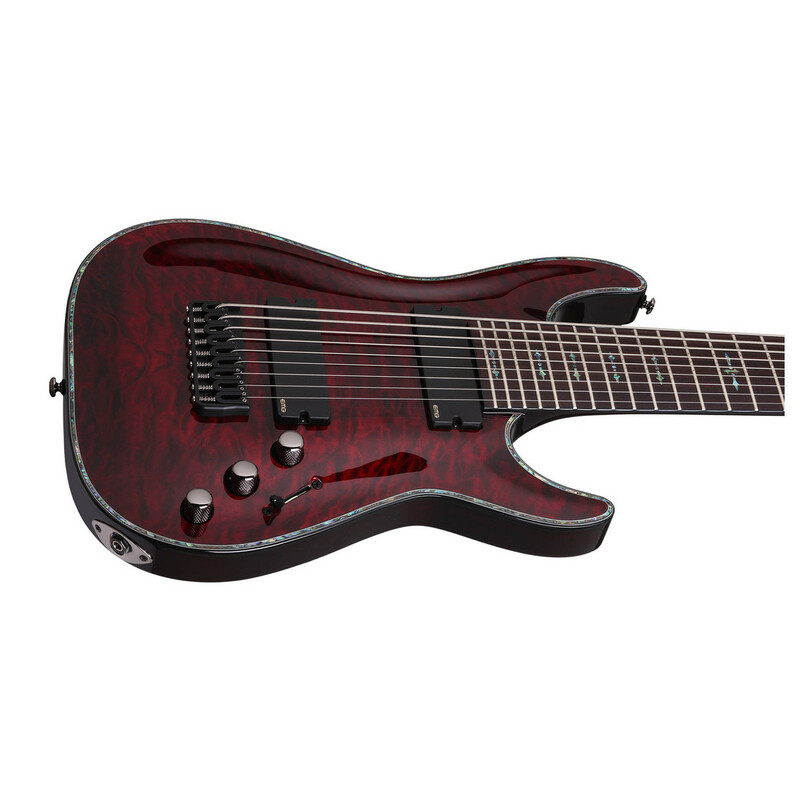 The Schecter Hellraiser C-8 Electric Guitar features a body crafted from high quality Mahogany with a Quilted Maple top in a black cherry finish to create a beautiful looking guitar. 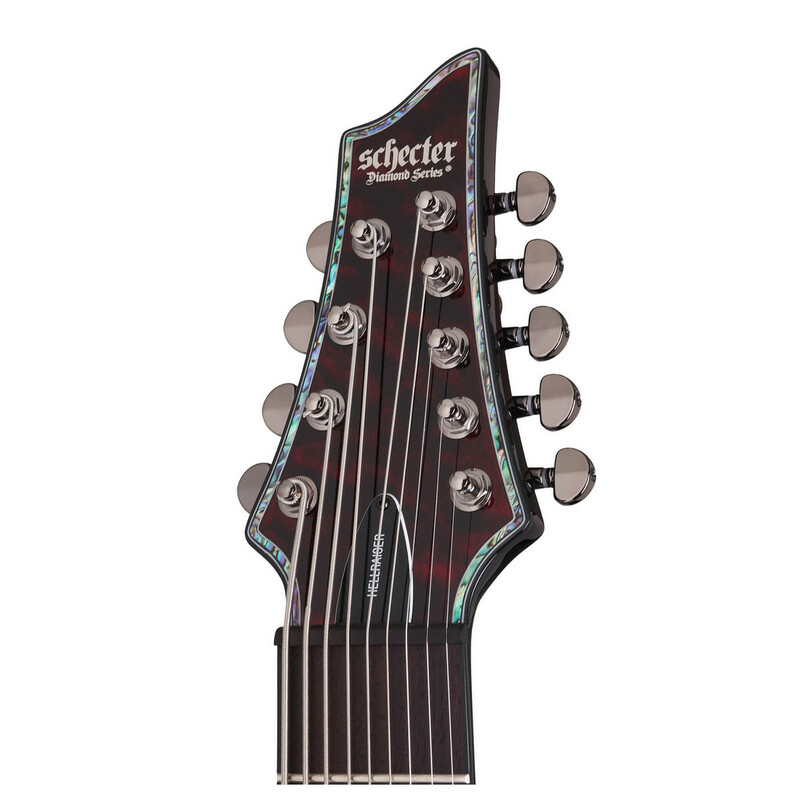 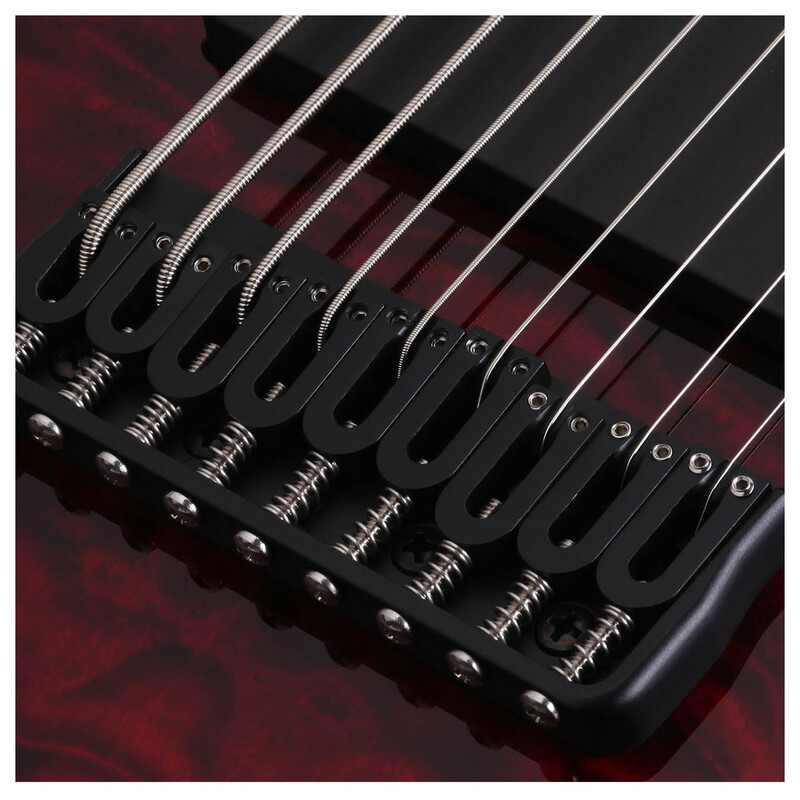 The Hellraiser also has a Mahogany neck and Rosewood fingerboard with 24 x-jumbo frets and a Floyd Rose nut. 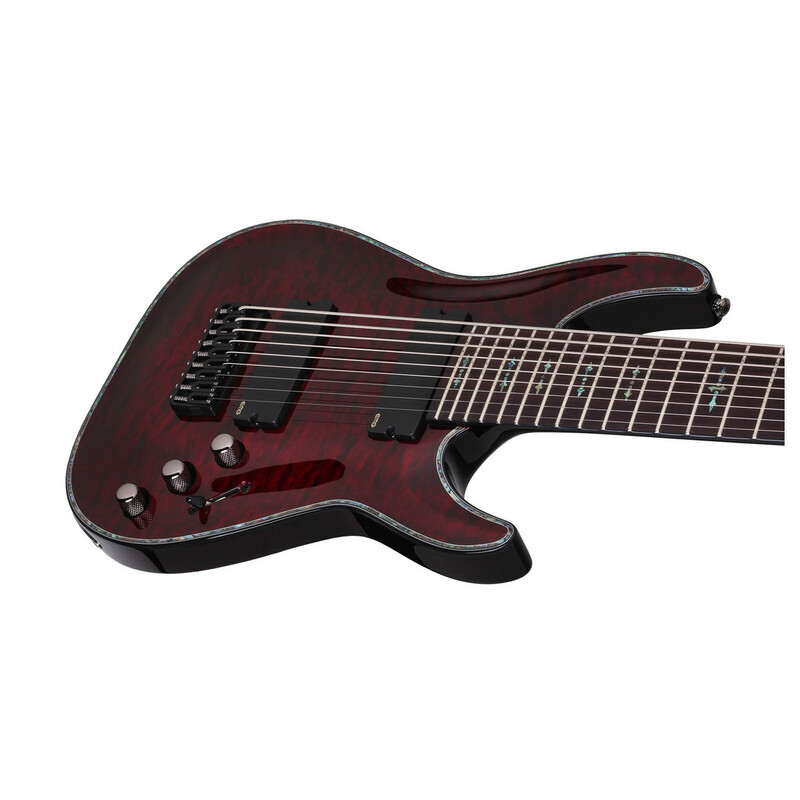 Featuring EMG 909 pickups for creating heavy rock tones, the 8 string Hellraiser can create incredibly deep tones without the need to detune. 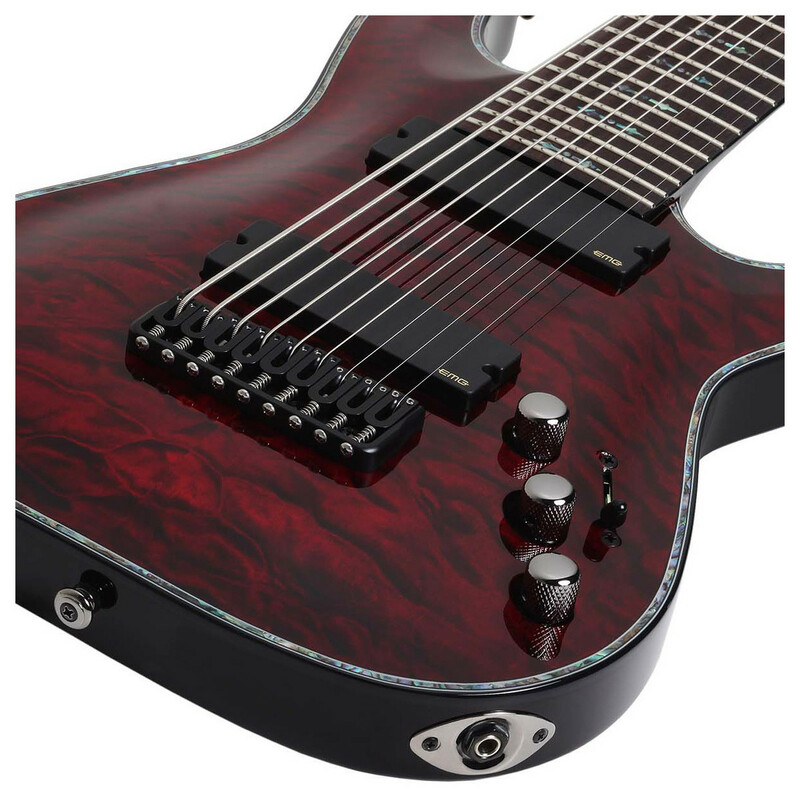 The Hellraiser features a set of EMG 909 humbuckers, based on the EMG 707 humbucker, to deliver powerfully heavy tones. 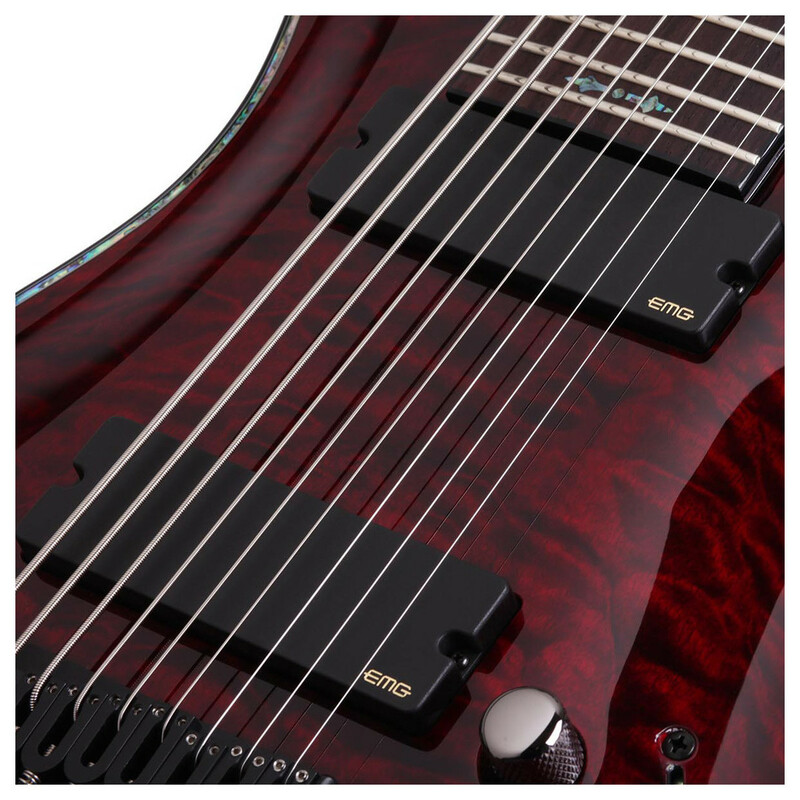 The humbuckers feature alnico V loaded, wide aperture coils that beef up the lower strings, eliminating muddy low string for a tone that has plenty of clarity. 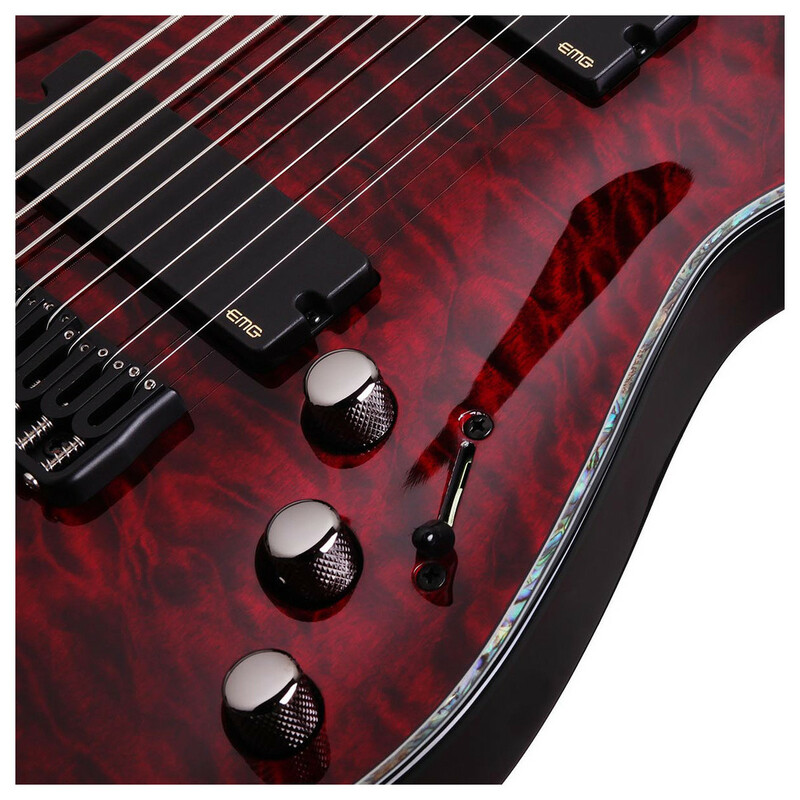 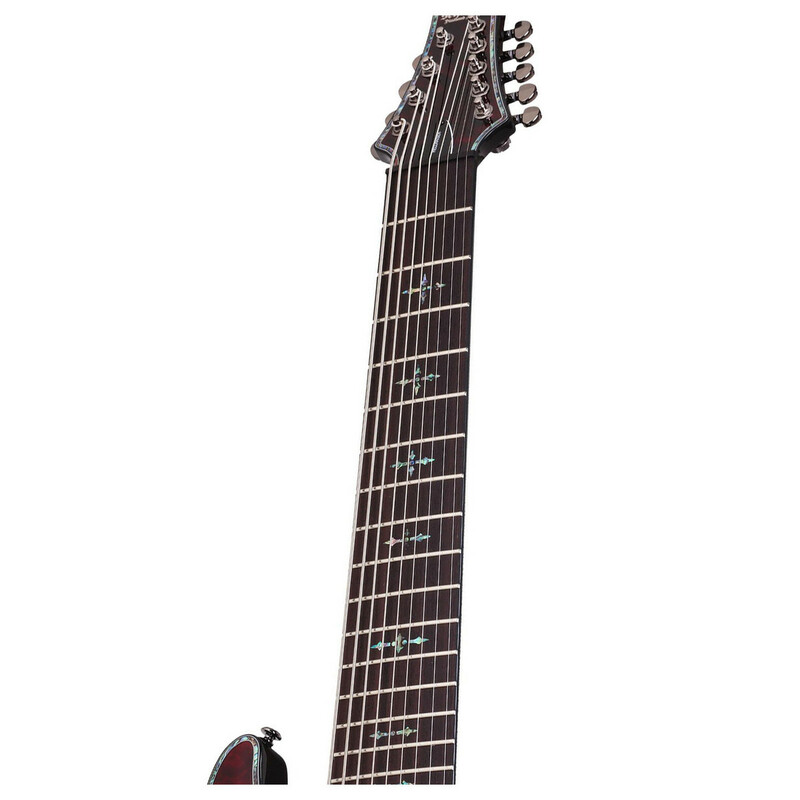 The EMG 909 offers the presence and dynamics that a 9 string guitar requires, and provides a tight, responsive sound that can articulate every note played.